The AMS Sidewinder hooks up really well in the sand, yet still allows the quad to slide the rear end around pretty easily. There is a genre of tire for every type of terrain, and that is extremely apparent when it comes to shredding sand dunes. Sport ATVs are also a very worthy tool to tackle the steep and flowing mounds of sand, so pairing the two creates a combination of pure fun and enjoyment. AMS designs tires with tread patterns to suit all types of riding, and that includes their Sidewinder rear paddle tires. We tested their rear set of AMS V-blade-style sand tires on our Honda TRX450R. We have ridden in the dunes with many different types of tires and nothing compares to a good set of paddle tires. The AMS Sidewinder rear tires have eight blades that have an off-set V-shape to them, which allows the machine to corner better than a traditional straight paddle design. A straight paddle generally has more straight-line traction in the sand, but it makes cornering more difficult and tricky since the rear of the ATV doesn’t want to drift outward. The Sidewinders will let you pitch the rear end around and throttle out of a turn in the direction you wish with ease. Each blade is 1 1/8 of an inch in height, which provides a good surface area to scoop the sand. The blades are supported by a generous, rounded carcass that helps the tire float. The Sidewinder has two-ply construction to keep it lightweight and also increases flotation in the sand. 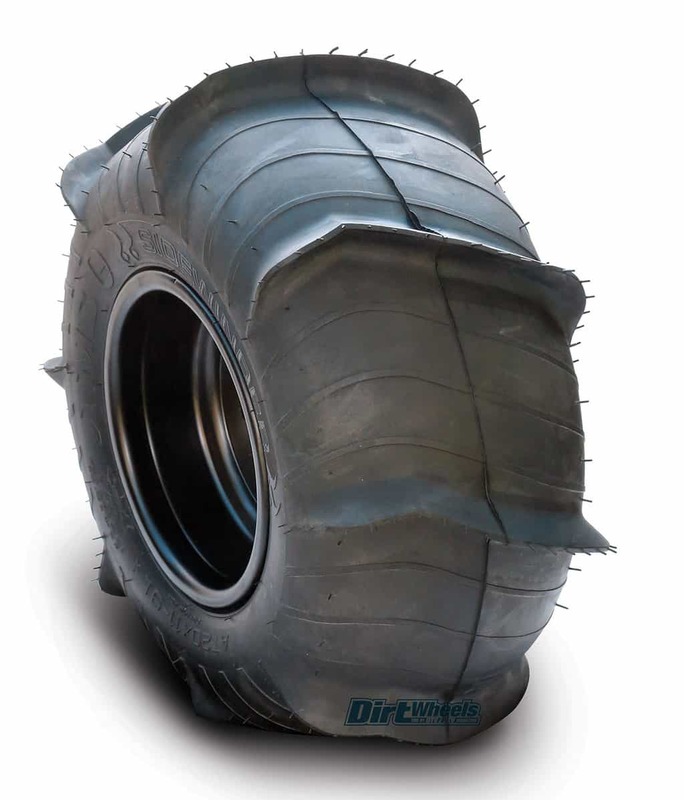 This 20×11-9-sized tire costs $68.95 each. The last time our test riders were out in the dunes, they didn’t have paddle tires to use. After the first ride with the AMS tires, they praised the heavens. Traction was immediate from a dead stop, and the tires hooked up at any speed. The Sidewinders made the Honda feel like its old self on dirt with good medium-to-hardpack tires on it. 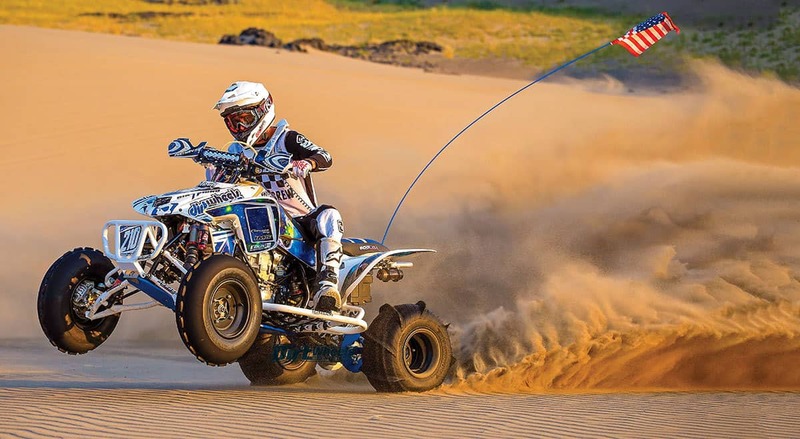 You could climb almost every dune with ease, and while there was a little resistance while sliding the rear end of the quad around, the V-blade design let the machine corner well. Go to www.amstires.com to check out more tires in their ATV and UTV lineups, and get a set of treads for the sand or any other terrain you like to ride on.